The lighter mornings are upon us and today the sun came bursting up into our lives. On the early news we heard with warm hearts that in the south the flood levels are dropping a bit. As a boy who cannot bear getting my enormously furry legs wet for less than a really decent retrieve, I can barely conceive what it must be like to sustain life under the conditions which are currently so common. But now the real work must begin: the horrible discoveries of loss and destruction; the protracted process of getting some kind of normal life back, and trying to find ways of making ends meet. It is a new beginning, but not a very joyful one. Coming through the dunes to the beach this morning, however, we all detected a definite feeling of renewed hope in the air. As we rounded the little gate, into the scrubby field where the Exmoor ponies greet us every day, we couldn’t help but feel one of those thrills which the smell of spring – be it ever so faint – instils. 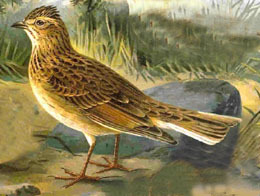 When Kemo Sabe was making her tea, we heard the skylark singing its gracious and sustained song on ‘Tweet of the Day’. 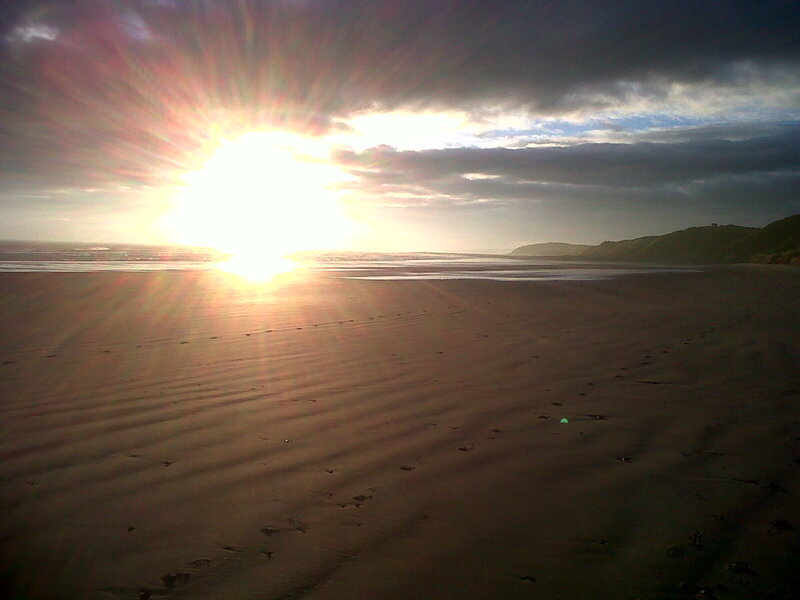 Suddenly above us hovered the sound of summer months, even earlier outings and the solitude of the dunes. This blessed and inspiring song transported us through time as we crossed its currently empty habitat. We remember Thomas Hardy’s tribute to this ‘tiny piece of priceless dust’, the memory of whom, like a gentle phantom, brushes over us as we pass. You will return, sweet creature, and we will be waiting, on dry, bright mornings like today when still more of the sorrow has evaporated on the gentle breeze.